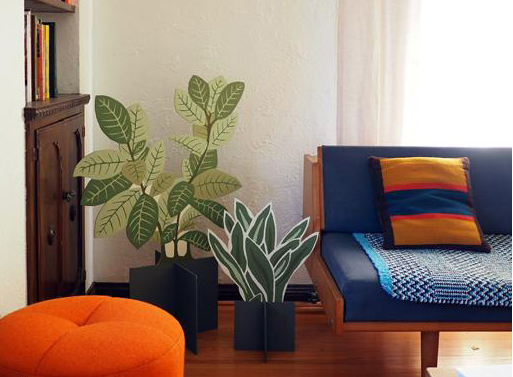 Have you neglected another houseplant? If you don’t have a green thumb, do yourself a favor and get a few SR Flat Plants. 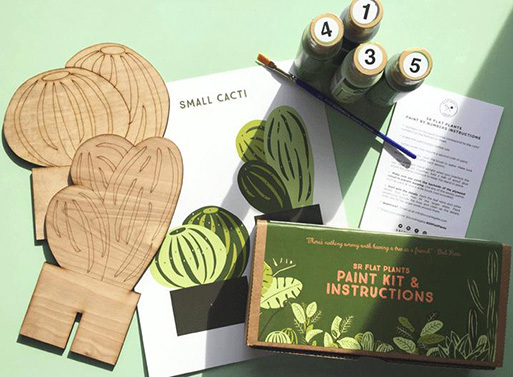 The “paint by numbers” style kit includes a plywood plant cutout, paints, paintbrush, reference sheet, and instructions. 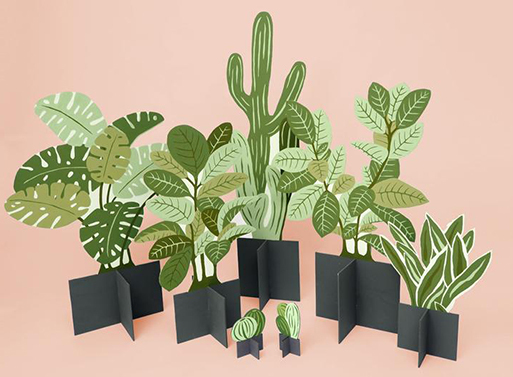 You’ll finally have greenery that won’t die, no matter what. 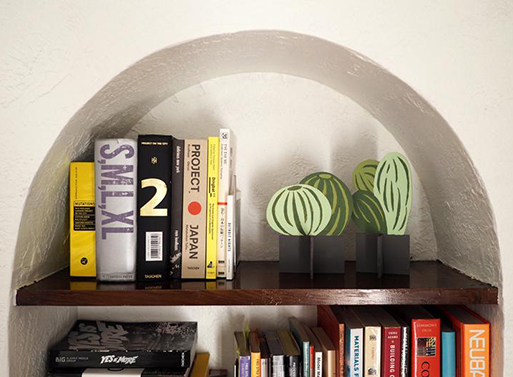 The flat, cartoonish rigidity may even lend a sense of playfulness to some rooms. Starts at $40 per kit. Available from Scout Regalia, $40.00 +.